Each year, GreenRoad awards Fleet Elite status to drivers around the world who have demonstrated sustained excellence in driving performance and safety. The Fleet Elite program inspires drivers to act as models for their colleagues by providing them with an official recognition of achievement and a professional credential that will serve them throughout their career. 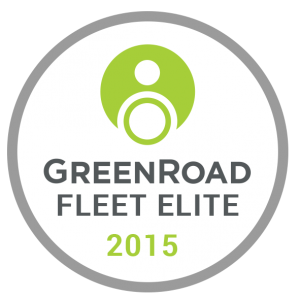 Any GreenRoad customer can participate in the Fleet Elite program, provided that their vehicle profiles meet GreenRoad’s minimum standard for eligibility. There’s no extra paperwork or administrative effort required from you. Ask your performance advisor to review your profile with you to determine whether you are eligible. Once you’ve decided to participate, your performance advisor will provide you with internal campaigns or events for announcing Fleet Elite to your drivers. Each quarter, you’ll receive a report showing how your drivers are tracking toward Fleet Elite status. In January, when the results are in, your performance advisor will work with you to arrange an awards ceremony to recognize recipients in front of their peers. To see this year’s winners, testimonials, and more, visit our Community page.